One of the primary reasons we write this blog and keep it up-to-date is so that we can inform the people of Fort Collins and the surrounding area about the many different services that a local sign shop can offer. Whether we’re employed as lighted sign makers, creating outdoor banners for business, or are wrapping vehicles in vinyl, we’re able to provide everyone who comes in with options that many of them never thought possible. And there’s no doubt that we like to talk about how we truly believe we’re the best Fort Collins sign shop around. But of course we’re going to think that! We’re a little biased toward our own printing services, after all. Still, we like to think that there are some unbiased opinions out there; we’re talking about our customers. As we write this, we have a perfect 5/5 on Google Reviews, which means our customers really seem to enjoy working with our print shop. Today we’re going to take a look at some of the customer reviews and talk a little bit about them. Let’s start with Zach. There’s one part of your review that really stands out to us, Zach. It’s the part where you talk about the process being reasonably hands-off because you trusted our designer. It’s cases like this that show why people enjoy working with us so much, because they can give us an idea and let us run with it. Whether it’s a vehicle wrap, business sign, lighted banner sign, or trade show display, our goal is to always wow the customer. All it takes is a simple idea and we’re more than happy to move forward with it to make it as eye-catching as possible. Of course, we also work very closely with clients to bring any of their ideas to fruition. Hands-on or hands-off, we’re happy to work with them and deliver more than they hope for. Okay, let’s take a look at what Go HomePro has to say. Glad to hear from you, HomePro. Vinyl vehicle wraps are one of the most economical means of getting your business message out there, and they have never been cheaper. But even though they’re a great bargain to choose when looking at the options offered by a sign shop, they’re not exactly cheap. So we can understand why you were considering going with a less expensive option when looking at a car wrap. But, as you found out, there are two very specific reasons why going with the right sign shop — instead of just the cheapest sign shop. First, getting a car wrap in the Fort Collins area can be fast, but it’s not like it can be done immediately. There will be a few days when you’re working with the print shop in order to get everything exactly the way you want it, which includes approving the design. If those days don’t go well because the staff is being rude, then the final product might suffer. Second, you found out how important service-after-the-service is. Every so often things are going to go wrong, and there could be “small issues” as you put it. While some print shops might brush you off and say that it’s not their responsibility, that’s not what you’re going to find at Action Signs. Let’s end today’s review blog by hearing from Britt Zimdahl. Hello, Windsor! We love being the go-to sign shop for not just our home city of Fort Collins but also Loveland, Greeley, Longmont, and even all the way up to Cheyenne. We’re glad you were happy with the work we did for Windsor. You bring up a point that many people never realize: we’re not just dealing with businesses. 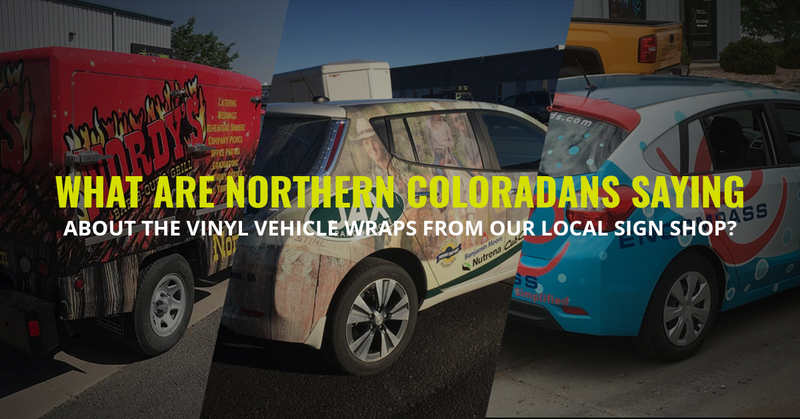 When it comes to vinyl vehicle wraps, we’re also working very closely with cities all along the front range. This means city vehicles and police cars and trucks. We’ll also do bus wraps for public transportation. We’re proud to say that many public entities choose us for their vinyl wraps. Once again, we’d like to thank our three customers for stopping by and leaving a Google Review for us. We love working with them and are quite proud of the work we do. 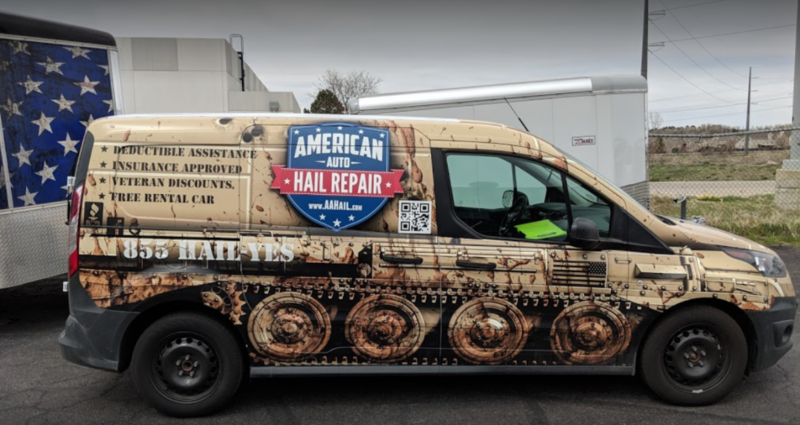 If they’ve convinced you that Action Signs is the right company to work with for your vinyl vehicle wrap, contact us right here!